Dyett & Bhatia led a comprehensive update of the City’s zoning regulations. 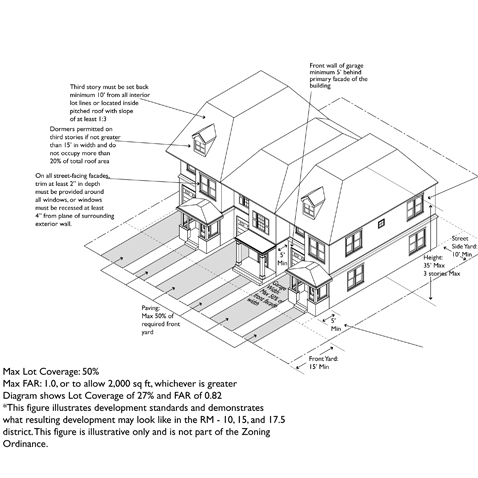 The new ordinance implements the City’s General Plan in a concise and user-friendly set of regulations. The update is comprehensive, including new districting, use classifications, development and design regulations, supplemental regulations, and procedures. The challenge was to create a logical sequence, remove ambiguity, simplify and clarify language, and, to the extent possible, create common procedures and uniform regulations and standards. The update was adopted in 2010. 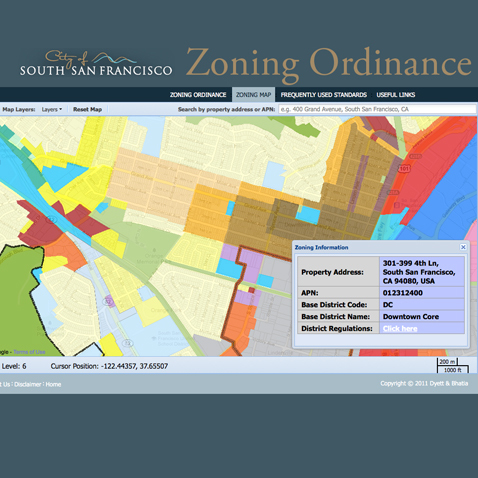 Dyett & Bhatia recently developed a web-based interactive zoning ordinance and map designed to allow the user to search zoning information on a parcel-specific basis with links to applicable standards.